What does a Cancun All Inclusive Vacation include? Get the lowest rates on the best Cancun all inclusive resorts in the area from the top suppliers. We’ll do all the research for your hotel, flights, round trip airport transfers and group concessions! The best all inclusive resorts for families or weddings, will be different than the ones for group travel. Certain resorts just accommodate groups much better, whether it’s complimentary stays, free semi private dinners, room upgrades, meeting space or something special for the group leader. This hotel loves group vacations, but only if you book early. If you’re booking 9+ months out, this is the best value for your dollar. Your experience at this all inclusive resort starts out by walking into a beautiful spa themed lobby, with Eucalyptus in the air. Groups are treated with a wet towel and a welcome drink. Your room is renovated and modern, you tell the chef what you want cooked for you for the next few days and enjoy the wide beach in front of your hotel. Unlimited free wifi everywhere in RIU Palace Peninsula, unlimited free room service, 24/7 wine + fruit lounge, 2 Mayan ruins directly on the property, micro cuisine restaurant options, complimentary stay depending on how you book and a free semi private dinner for up to 40 people, which you have to request exclusively with us. RIU Palace Las Americas offers unlimited free wifi everywhere in the resort, unlimited free room service, 24/7 sports bar, micro cuisine options, complimentary stay depending on how many guests, a free semi private dinner for up to 40 people as well and more! RIU Cancun offers 90 Minute free wifi exclusively in the lobby, well known Japanease and Italian cuisines, ocean views of turquoise waters, swim up bars and infinity pool keep the entertainment going and get a complimentary stay with a certain amount of adults. Nature oriented resort located in the heart of Cancun. Known for their exceptional service and their all inclusive amenities. Great for groups over 25+ guests wanting to stay in Cancun. Their location neat the nightlife and shopping make it worth it. Getting a deal on an all inclusive vacation to Cancun, depends on where and when you look. The truth is, everyone in the travel industry gets the same rate, however they may sell it differently. Some online travel agencies, will sell an all inclusive package to Cancun without taxes included and you’ll end up paying these taxes upon your arrival. Some will display a “really good deal”, but when you get to check out, the price has “changed”. But there is one thing in common that all online travel agencies are offering when it comes to groups, a bad deal. If you searched 5 sites and found that 1 is offering cheap all inclusive vacations to Cancun for $50 less, you’re convinced that it’s a good deal. What they don’t tell you is that, you will not be treated as a group upon your arrival to the hotel. By booking your group vacation to Cancun with us, we’ll work on getting your rooms together, we’ll negotiate the lowest group vacation rates, we’ll try to arrange a semi private dinner and most importantly if we can get you a complimentary stay, we will! 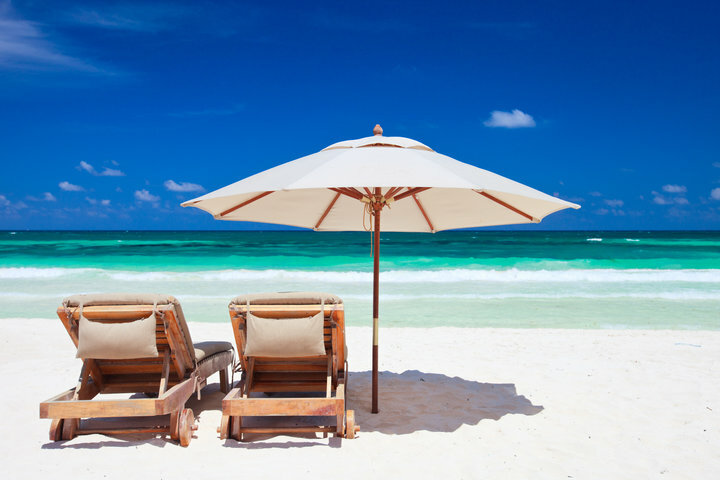 Why do we love all inclusive vacations to Cancun? Because where else can you travel 3-7 Hours and relax on white sandy beaches, turquoise waters and sip on Pina Coladas all without pulling out your credit card.